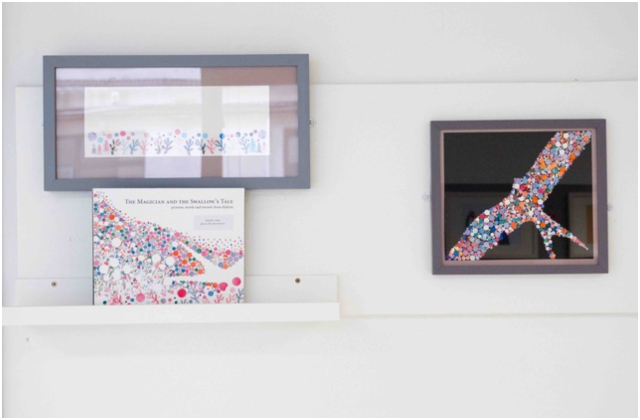 Galway University Hospitals Arts Trust has launched Art@Work 15, an exhibition by hospital staff running from 17 December until 31 January. 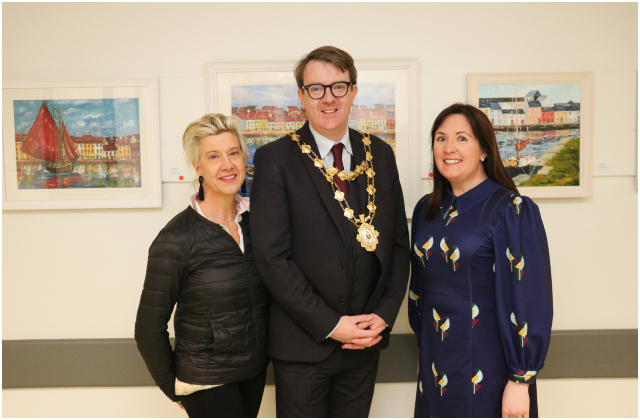 The exhibition was officially launched on Monday December 17 on the Art Corridor of University Hospital Galway by His Worship, the Mayor of the City of Galway, Councillor Níall McNelis. 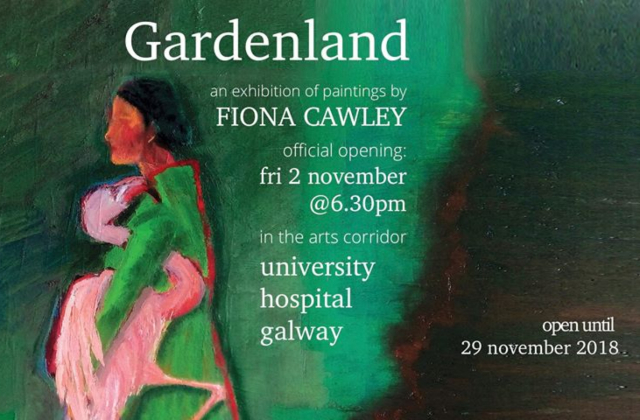 On Friday November 2nd at 6.30 pm, ‘Gardenland’ an exhibition by artist Fiona Cawley will open on the Arts Corridor of University Hospital Galway and will be on display until November 29th 2018. Cawley is an artist living in Kinvara, Co. Galway. 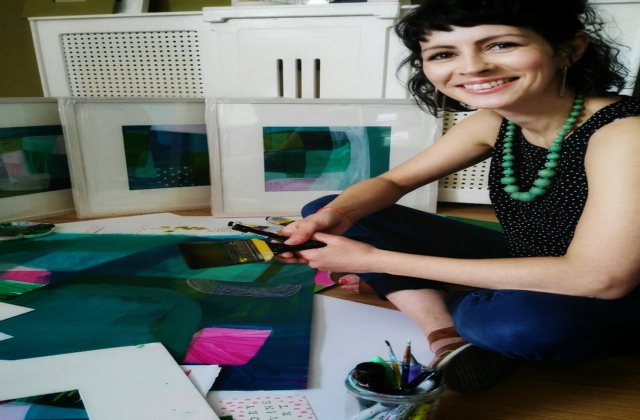 She graduated with a BA Art and Design Degree from the Centre for Creative Arts and Media, GMIT in 2015 and was awarded a GMIT Academic Achievement Award. 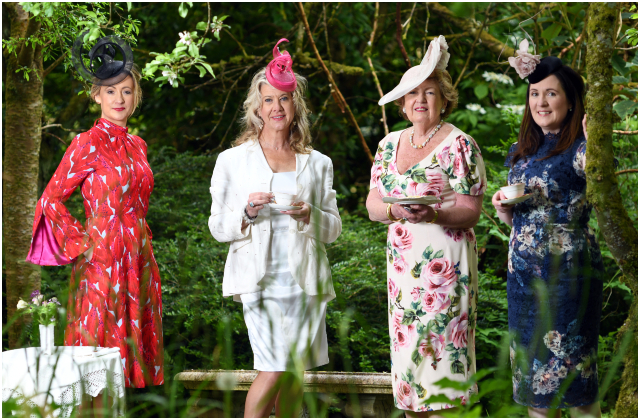 Afternoon Tea is being held at the home of Phyllis MacNamara on Sunday June 24th from 3-6pm to benefit the arts programme at Galway University Hospitals. It is a ticketed event with a maximum capacity of 100 people at a cost of €50 per person. On arrival guests will be offered a refreshing glass of homemade lemonade or prosecco. Guests are free to wander the beautiful surroundings with the garden being in full bloom. 'T H R I V E' by artist Tory Irvine, a contemporary abstract exhibition will launch on the Arts Corridor of University Hospital Galway at 6 pm on Thursday June 7th and will run until Sunday July 1st. Irvine is an abstract artist interested in emotional health. The exhibition features a series of paintings, which are vibrant, expressive & colourful. Working with acrylics on paper, Irvine layers washes and blocks of colour with a spontaneous energy. 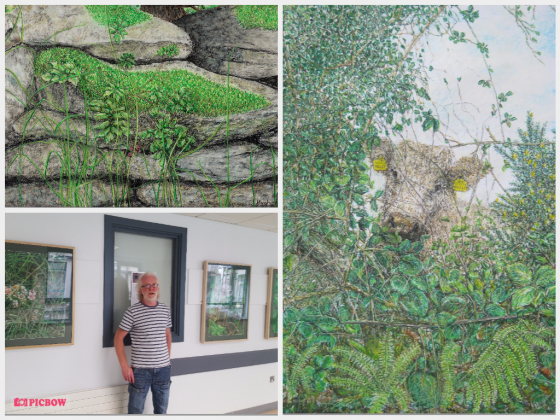 ‘Head in the Hedgerow’ by artist Hugh Barr opened at University Hospital, Galway on Wednesday September 6th and will continue until Monday October 16th. The exhibition features a series of paintings showing the diversity of plants and flowers found within the hedgerow.